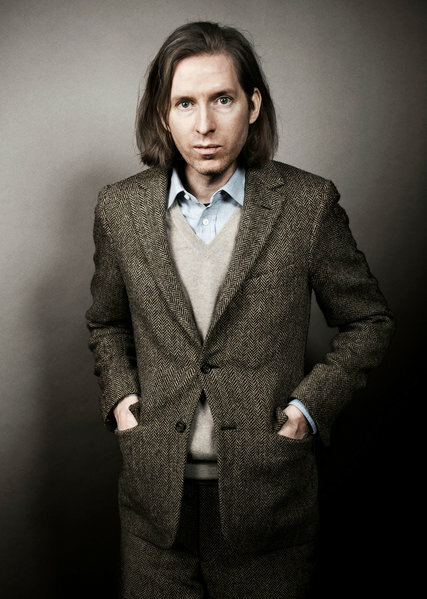 Abby recalls Mississippi Grind as “a special film” that stands out on her impressive resume due to the talents of the creative team, particularly directors Anna Boden and Ryan Fleck and cinematographer Andrij Parekh, who all contributed to developing the “distinctive 1970s Americana road movie” attitude that radiates off the screen like neon bar lights through Marlboro smoke. Indeed, Curtis and Gerry’s journey through the country on Mississippi Grind also takes viewers on a journey reflecting gambling addiction with startling authenticity and dark humor… both aspects of classic ’70s cinema like California Split, Five Easy Pieces, and The Gambler. In fact, BAMF Style reader Shea Robison noted many similarities with The Gambler when recommending Mississippi Grind to me (something to which I will be forever grateful to Shea!) In The Gambler, written by James Toback and released in 1974, James Caan plays an English professor addicted to gambling. Shea, who has seen both films, told me that: “In The Gambler, the treatment of gambling addiction is more nuanced in a different way (and explained in a fantastically literary way), which is another aspect of Mississippi Grind that I appreciate because of the way it extends the ‘gamblers are just looking to lose’ theme.” A further indication of a connection between these these two films is that Toback notably also makes a brief cameo in Mississippi Grind. After a number of chance meetings, Curtis finds himself a passenger in Gerry’s Subaru, headed along the Mississippi River toward a $25,000 buy-in poker game in New Orleans. 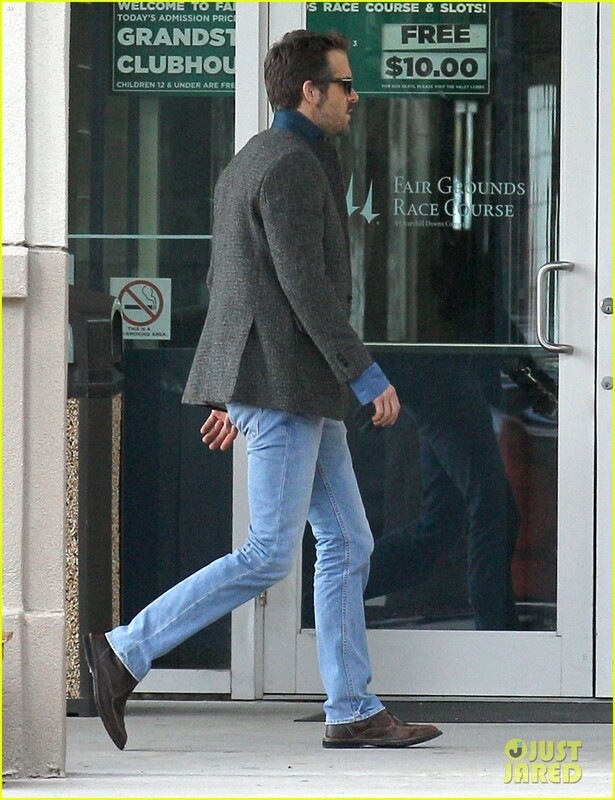 With one brief exception when dressing for an exclusive riverboat game, Curtis wears essentially the same outfit throughout Mississippi Grind: a mixed wool tweed checked sport jacket, light jeans, and worn brown boots. This is clearly his “uniform” through life, anchored by the jacket that BAMF Style reader Shea Robison referred to as “a security blanket.” Indeed, Abby’s original concept book for the character referred to each man wearing his version of “armor” that would be tarnished as their journey goes along. Curtis’ jacket is a small-scale brown-and-black (on tan) tattersall check sportcoat in handwoven Harris tweed from the Outer Hebrides of Scotland, purchased from Lands’ End. The Lands’ End jacket was chosen for its boxy fit that resembled the ill-fitting “sack suit” of early American menswear – another visual callback to Americana. Draped in his complex textured jacket, Curtis draws in Gerry, the audience, and fellow poker players from the very first scene. Despite its outdoor sports origins, tweed has come to be associated (among the lesser-informed set) with professorial old men. Curtis keeps his collar popped at all times, transforming what could otherwise be a bookish, scholarly staple into a uniquely rebellious statement that screams “skid row punk”. In addition to the navy felt under-collar, Curtis’s popped collar shows off the throat latch (also known as a storm tab) that would ostensibly connect across the neck to fasten to a button under the collar on the right side. Curtis pops his notch lapels, revealing a throat latch on the left and the latch’s fastening button on the right. In addition to the throat latch, the jacket’s sporty details include three patch pockets: a rounded breast pocket and flapped hip pockets. The three-button cuffs are smaller versions of the two buttons on the front, which Curtis wears open throughout Mississippi Grind. The crested navy Lands’ End label is on the inside left panel of the jacket, stitched in the tan satin lining, just above where an inner breast pocket would be. Choosing to wear his tweed jacket during an impromptu basketball game on the warm streets of New Orleans is just one of the many mysteries of Curtis. The jacket is split on the sides with short double vents. 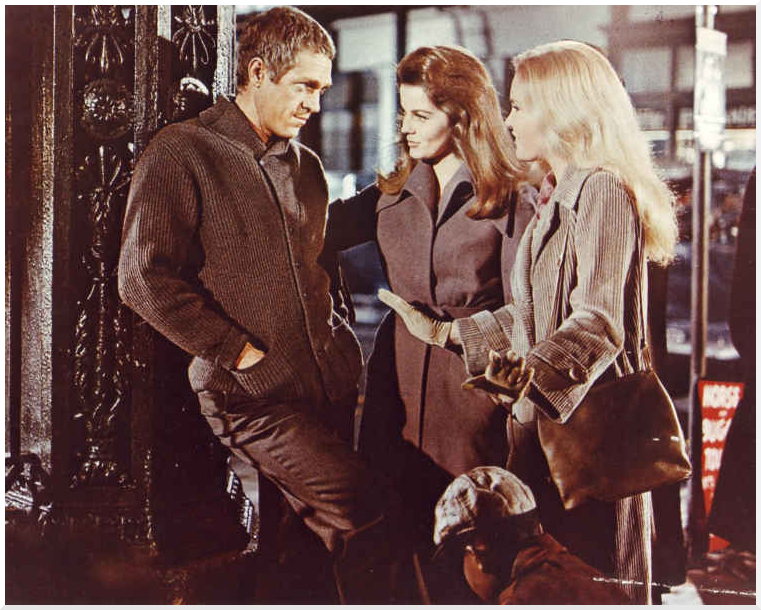 With its short length and high button stance, the jacket is reflective of current fashions; Curtis, however, does not seem the type to fret about what’s fashionable and what isn’t. Curtis kicks his way into trouble after venting his economic frustrations with Gerry. Curtis wears a mahogany leather belt with a fancy “figure 8” stitch and a rectangular buckle created from the leather itself. This type of “scratchbless belt” connects with plastic hooks behind the buckle and was developed in 2000 for workers like movers, mechanics, and electricians, such as this $18 Dickies belt or this $25 belt from Boston Leather. The belts were eventually co-opted by musicians who were tired of their belts scratching their instruments. Abby O’Sullivan made a conscious decision to place Curtis in a musicians belt as a nod to his’ origins in the Birthplace of Jazz and his musical mother. You can learn more about or pick up your own musicians’ belt here. Note the stitching and the “no scratch” buckle. On his feet, Curtis rocks a pair of well-worn brown leather apron-toe lace-up boots. As I’ve noted, fashionability isn’t exactly at the top of Curtis’s list of priorities, but he at least manages to coordinate the color of his belt and shoes…if not matching the exact shades of brown leather used for each. Curtis looks most at home when lounged across worn leather stools at a dive bar. His tube socks range from dark brown after Gerry first spends the night on Denise’s couch to a white pair in the final scene. 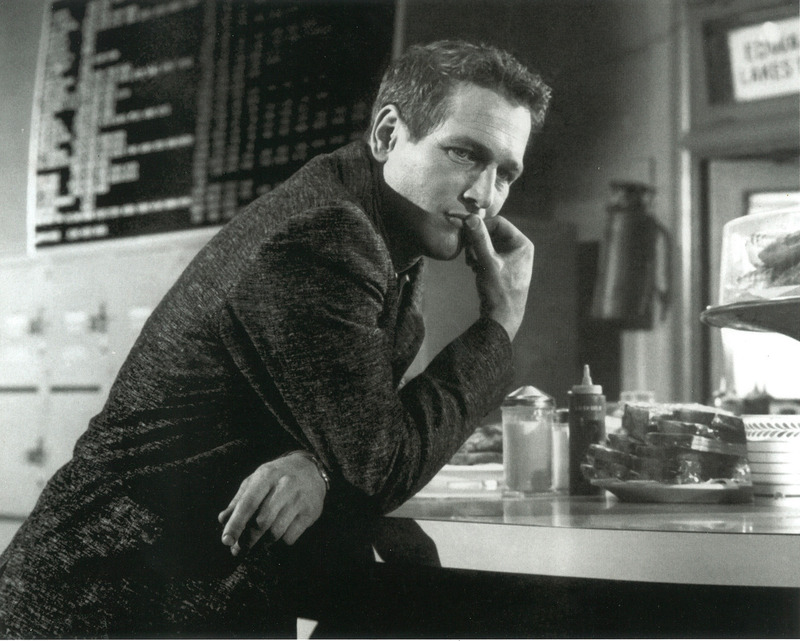 When changing into his “riverboat gambler” attire in St. Louis, we see the waistband of his gray cotton boxer briefs, but he appears to be wearing a pair of dark navy briefs at the film’s finale. In repose, Curtis shows off his preference for varying colors of tube socks. Since Curtis’ bag is his “closet” when on the road, he only has the clothes inside it at his disposal and the variations of what he wears reflects both his own economic and emotional state as he and Gerry travel from Dubuque to NOLA. In addition to the previously mentioned brands of Lands’ End and Levi’s, Curtis’ clothing was a mix of Billy Reid, vintage items, and items draped and created in-house specifically for the production. “All of Curtis’s life had to fit in one bag so that was a big part of editing down his wardrobe,” explained Abby. Curtis saves himself some space in his bag by wearing the same jacket, jeans, belt, and boots throughout the movie, cycling through only four main shirts over the course of the eight days shown on screen, all worn over a series of undershirts, including a vintage-styled off-white cotton short-sleeve henley with a slim, three-button placket. Curtis at his most stripped down after Gerry admits his fiscal irresponsibility. 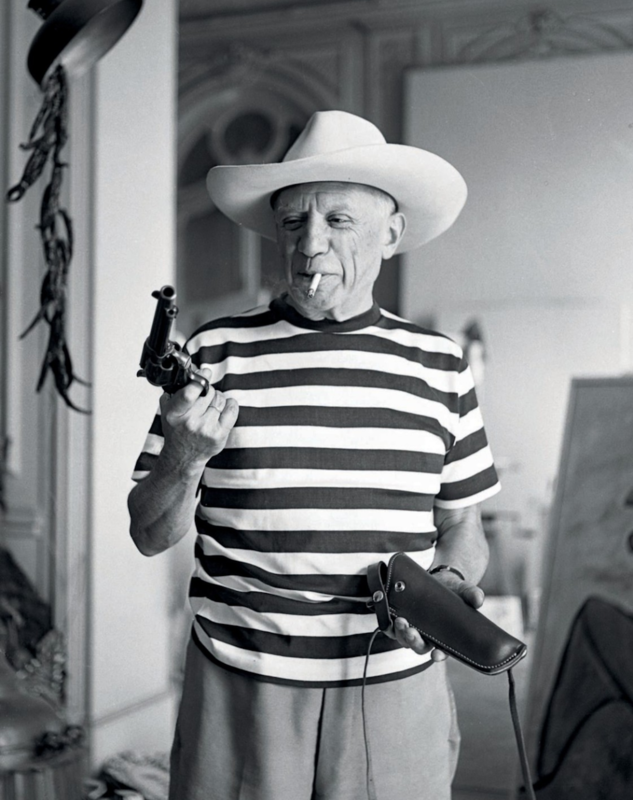 Most of Curtis’ shirts are button-up shirts, a pattern consistent with “the looks canonized in the mid 20th century… men’s sportswear stuck to a very specific formalized silhouette” as opposed to leisurewear. For the first scene at the Dubuque poker table and for his arrival with Gerry at Simone’s in St. Louis, Curtis wears a blue-and-taupe plaid long-sleeve shirt on a white cotton ground. 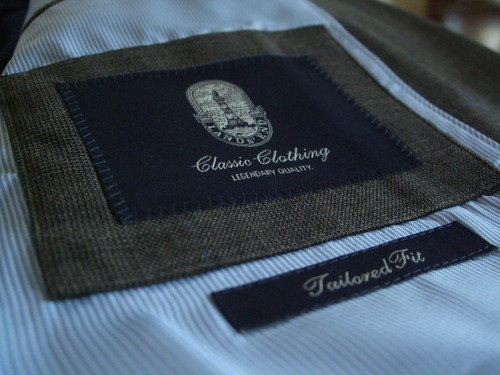 The shirt has two patch chest pockets with pointed, button-down flaps and squared button cuffs that are worn unbuttoned, though not rolled up. He leaves the first few buttons of the front placket undone, revealing his off-white henley undershirt (on day 1, in Dubuque) or a dark crew-neck t-shirt with white screen-printed text (on day 4, in St. Louis). Shirt #1: Blue-and-taupe plaid on white, worn when making or rekindling acquaintances in new towns. Curtis’ next shirt that we see is a faded blue long-sleeve shirt with eight mixed tan plastic buttons down the plain front, a breast pocket on the left, and squared cuffs worn unbuttoned. Both days that he wears it are on days that he goes to the track with Gerry. When in Dubuque, Curtis wears his blue shirt with the collar popped to coordinate with the raised collar of his jacket. The top few buttons are always undone, revealing the white ribbed cotton sleeveless undershirt beneath it. Shirt #2: solid blue, worn when betting at the track. In Memphis, Curtis wears a salmon pink cotton shirt with a grid overcheck in rust, light blue, and navy. This long-sleeve shirt has a long pointed collar, front placket, two patch pockets, and mitred cuffs with two buttons to adjust the fit, although Curtis naturally leaves both buttons undone and often rolls up the sleeves. For a night of clubbing in Memphis, Curtis wears a sleeveless undershirt, but he wears the henley as his undershirt for his drive to Little Rock the next day, where he believes Gerry is trying to reconcile with his ex-wife. Shirt #3: Salmon pink plaid, worn for spontaneous romantic pursuits. The only one of Curtis’ shirts that isn’t a button-up is this dark navy cotton long-sleeve crew-neck jumper with bold red horizontal stripes and ribbed cuffs. The bold stripe evokes 1950s insouciance, particularly counterculture icons like James Dean and Pablo Picasso who were noted fans of the similar Breton stripe. Curtis always seems to wear this shirt just before embarking on a journey, wearing it the night before his impulsive road trip with Gerry and at the film’s finale when inviting the hotel desk clerk to Peru for the ultimate “Machu Picchu time”. Shirt #4: dark jumper with red stripes, worn when “it’s Machu Picchu time”. Curtis wears a pair of Tom Ford Snowdon TF0237 sunglasses with mottled tortoise acetate frames in “Dark Havana” (color code 52N). These Tom Ford frames made the rounds in 2015 cinema, with Reynolds himself wearing them later that year in Self/Less and Daniel Craig sporting a pair as James Bond in Spectre. You can still pick up a pair from the Tom Ford website for $415. The value of a good pair of sunglasses on a road trip can never be over-emphasized! To emulate Curtis’ look without necessarily copying it detail-for-detail, Abby O’Sullivan recommends finding a Milano cut jacket “which echoes an American ‘sack suit’ but pulls more to the shrunken fit you see here on Ryan… If you can’t find a Milano cut, purchase an athletic cut suit and have it tailored to a half-size smaller” in the spirit of director Wes Anderson‘s preferred suit cut. 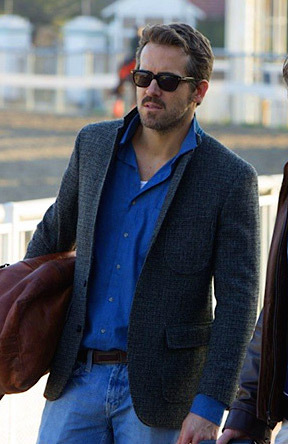 Curtis Vonn’s wardrobe in Mississippi Grind adds a contemporary touch to the celebrated style of mid-20th century’s counterculture icons, anchored by a complex mini-check tweed jacket that serves Curtis like armor. 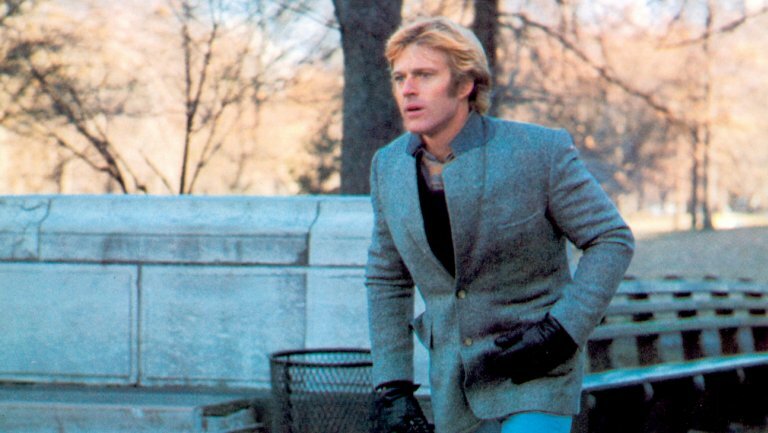 eBay tends to have Lands’ End tweed jackets with this “Tailored Fit” jacket sharing many details of the one worn by Reynolds on screen. 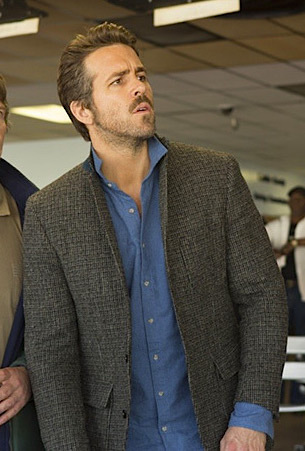 Despite the fan interest in the tweed jacket that Ryan Reynolds wore on screen in Mississippi Grind, most online searching yields only replicas for a maroon suede bomber jacket he evidently wore in real life around the time of the film’s release. Since there’s been some increased attention in this jacket, I wanted to include some of the behind-the-scenes photos I found around the Internet for a more complete look at the outfit. Perhaps one of these was taken by “a paparazzi dressed up as an old woman from the Eastern Bloc ” that Abby recalled from the production. Fantastic detail on this post, Nick. I cannot convey how surprised I am that Curtis’ jacket was an OTR from Lands’ End (albeit then tailored to fit Ryan Reynolds). You have definitely solved an Internet mystery with your work on this. From the pattern and the weave of the jacket, and the difficulty in finding out more about it, I would have sworn it was a vintage or custom-made one-off. Also, for all the times I have watched this movie, I never picked up on Curtis’ unique belt, so that was an interesting detail that you uncovered. I also appreciated reading the information provided from Abby as the costume designer, revealing all the thought that went into the wardrobe choices for this character, and the incorporation of wardrobe into the fleshing out of the characters–in particular via the contrast between Curtis’ unique style and Gerry’s almost complete lack of style (too large generic polo shirts and sweaters, nondescript winter coats, forgettable sneakers, etc,). As you describe, this character development took the form of his choice of shirt when he begins a new adventure, and his lack of armor when he makes the choice to cut Gerry loose for gambling away all their money, and I’m still trying to figure out what was intended by his not wearing his sportcoat/armor at the juke joint in Memphis where for once he did not bed the attractive and willing woman he has enticed into his orbit. So many great insights in this post, about the clothes and the movie and the behind-the-scenes conceptual work that went into it. Thanks again for taking this on, and let me know when you get around to The Gambler. I can’t wait to read what you come up with for that one. Great write up Nick and great tweed jacket. Ryan Reynolds looked the seediest he has every looked on film in this movie, even though he plays a charismatic character. He looks dark under the eyes and doesn’t look like he wore much make-up in the film. He looks like someone who parties a lot and stays up playing cards all the time. Really interesting in sight into the unique look of the character. Enjoyed the read thoroughly! Is there any chance you will be corresponding with costume designers on more posts in the future? that would be dope! Thanks so much – I appreciate the feedback, and I’m glad it was such a good read! I’d definitely love to work more with costume designers in the future. You’re welcome. Looking forward to it! FWIW, I think I just saw a version of this jacket being worn by Puddy on an episode of Seinfeld (the one where he becomes a car salesman). If it is not this jacket, then it is close. Similar pattern color, etc. Update: FWIW, I recently found out that Anna Boden and Ryan Fleck are directing the forthcoming Captain Marvel movie, as the next installment in the MCU. Given their work on this and similar ‘small’ movies, I am curious to see what they do with a superhero blockbuster. Personally, I was not enthused about the casting choice for Captain Marvel, and so was wary of what the movie will be like, but when I read that Boden and Fleck were directing, my interest was definitely piqued. Given how much I love this movie, I am now much more curious about the Captain Marvel movie given these two as the directors.